The Citi® Hilton Honors™ Visa Signature® Card is a hotel rewards credit card that favors frequent guests at Hilton hotels and partner properties. It has no annual fee and automatically earns Hilton Honors Silver Status, which confers useful benefits such as 15% faster point earnings on Hilton stays. It also has a great sign-up bonus that’s good for up to 15 free nights. The best way to redeem accumulated Honors points is to exchange them for free nights or room upgrades at approximately 4,000 Hilton properties worldwide. However, you can also transfer points to some popular airline rewards programs and exchange them for goods and services at the Hilton Honors Shopping Mall, an online portal. The Citi Hilton Honors Visa competes with several other branded hotel and travel rewards credit cards, including Citi Hilton Honors Reserve, Wyndham Rewards, IHG Rewards Club Select, Marriott Bonvoy Boundless™ Credit Card from Chase, United MileagePlus Explorer, and Alaska Airlines Visa Signature. It also competes with general-purpose travel cards such as Capital One Venture Rewards, BankAmericard Travel Rewards, Chase Sapphire Preferred, and U.S. Bank FlexPerks Travel Rewards Visa Signature. Most competing cards have annual fees ranging from $50 to $100. Sign-up Bonus: When you spend at least $1,000 within four months of opening your Citi Hilton Honors Visa Signature Card account, you get 40,000 Hilton Honors bonus points. That’s good for up to eight free nights at Category 1 properties, Hilton’s lowest-priced hotels and resorts. Earning Hilton Honors Rewards: The Citi Hilton Honors Visa Signature Card earns 6 Honors bonus points per $1 spent on Hilton hotel and resort stays; 3 Honors points per $1 spent at supermarkets, drug stores, and gas stations; and 2 points per $1 spent on all other purchases. All spending categories earn unlimited points. Redeeming Hilton Honors Rewards: You can redeem your accumulated Hilton Honors points for free nights and room upgrades at Hilton hotel and resort properties, with no blackout dates. Redemption minimums start at 5,000 points per night for standard rooms at basic Category 1 properties (which usually cost $100 or less per night) and range up to 95,000 points per night for standard rooms at super-luxurious Category 10 properties (which usually cost $500 or more per night). You can also transfer your accumulated points to popular airlines’ frequent flyer programs, including Delta Airlines and Virgin Atlantic, and then redeem them for free flights or class upgrades. However, transfers often require 10 Honors points (and sometimes more) to receive 1 airline mile, so they’re often not the best option for maximizing (or preserving) the value of your points. Finally, you can redeem Honors points for a limited general merchandise selection (including electronics and personal accessories) at the Hilton Honors Shopping Mall, an online portal, usually at a value of less than $0.01 per point – again, probably not the best way to maximize your points’ value. As long as your account sees some activity – earning, redeeming, or transferring points – in any given 12-month period, your points never expire. Annual Loyalty Bonus: When you spend at least $1,000 at Hilton properties in any calendar year, you receive 10,000 Hilton Honors bonus points – good for up to two free nights at Category 1 properties. Hilton Honors Silver Status: As long as your account remains open and in good standing, you automatically earn Hilton Honors Silver Status. This preferred customer status entitles you to a 15% bonus on all Hilton Honors base point earnings (you earn 10 base points for every $1 spent on your room rate, and other eligible room charges), a free fifth night when you book an award stay (using your Honors points) of five nights or longer, flexible check-in and check-out hours, and complimentary access to hotel health and fitness clubs. Upgrade to Gold Status: This card also comes with fast-track upgrades to Hilton Honors Gold Status. You automatically earn Gold Status if you stay at Hilton properties at least four times within 90 days of opening your account, or if you spend at least $20,000 with your card in any calendar year. Gold Status entitles you to all Silver Status benefits, plus a 25% bonus on all Hilton Honors base point earnings. Important Fees: This card does not charge an annual fee. Foreign transactions cost 3%. 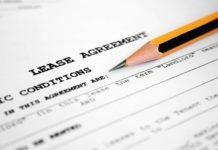 Balance transfers cost the greater of $5 or 3% of the transferred amount, and cash advances cost the greater of $10 or 5% of the advanced amount. Late and returned payments cost $35. Additional Travel Benefits: This card comes with a host of travel-related benefits, including 24/7 travel concierge service; lost baggage protection, up to $3,000 per person; and complimentary rental car loss/damage insurance when you pay for your rental in full with your card. General Benefits: This card has some useful non-travel benefits, including damage and theft purchase protection, up to $1,000 per item for up to 120 days after purchase; and Citi Price Rewind, which reimburses you up to $300 per covered item ($1,200 total per calendar year) if Citi finds a lower price elsewhere within 60 days of your purchase. Credit Required: This card requires excellent credit. If you have any noteworthy dings on your credit report, you’re unlikely to qualify. No Annual Fee. The Citi Hilton Honors Visa Signature Card is among the most generous hotel rewards cards without an annual fee. Most comparable competitor cards have annual fees ranging from $50 to $100 – for instance, the Hilton Honors Surpass Card from American Express has a $75 annual fee, while the Wyndham Rewards Visa Signature Card has a $69 annual fee. Strong Sign-up Bonus. When redeemed for free nights at Category 1 properties, this card’s sign-up bonus is worth up to eight free nights. Most competing cards’ sign-up bonuses equate to fewer free nights. Comes With Automatic Silver Status. Citi Hilton Honors automatically confers Silver Status, which boosts your point earnings by 15% and entitles you to a free fifth night when you book an award stay of at least five nights at Hilton properties. Some competing cards, including Wyndham Rewards Visa Signature, don’t confer equivalent preferred customer status. Solid Hotel Selection. Citi Hilton Honors Visa Signature cardholders can redeem their Honors bonus points for free stays at nearly 4,000 hotels and resorts worldwide – a very solid selection. Annual Loyalty Bonus Is Worth Up to Two Free Nights. This card’s 10,000-point annual loyalty bonus, which you receive after spending at least $1,000 at Hilton hotels in a calendar year, is good for up to two free nights at Category 1 properties. Not every hotel credit card offers an annual loyalty bonus, and many that do have this perk limit it to just a single complimentary night. Points Don’t Expire. As long as your account sees some activity during any 12-month period, such as earning points via card transactions or redeeming for free nights, your Honors points remain valid indefinitely. Frequent Flyer Transfers Aren’t a Good Deal. Frequent flyer transfers are not Citi Hilton Honors’ strong suit. Most partner airlines require 10 Hilton Honors points per 1 mile, severely cutting into the value of earned Honors points. By contrast, the Chase Sapphire Preferred Card has 1-to-1 point transfer arrangements with multiple airline partners. Other Hilton Cards Earn Points Faster. The Citi Hilton Honors Visa Signature Card doesn’t earn points as quickly as some competing Hilton credit cards. If you frequently stay at Hilton properties or spend in other favored categories and wish to rack up points quickly, consider Hilton Honors Surpass from American Express ($75 annual fee; 12X points on Hilton stays; 6X points at supermarkets, restaurants, and gas stations). Can’t Redeem for Cash. You can’t redeem Hilton Honors bonus points for cash, which is a bummer if you don’t plan to travel shortly or aren’t going to be near a Hilton property on your next trip. Some general-purpose travel rewards credit cards, including Chase Sapphire Preferred, do let you redeem your accumulated rewards points for cash. Has a Foreign Transaction Fee. This card has a 3% foreign transaction fee. That’s a big drawback relative to competing foreign transaction fee-free cards such as Citi Hilton Honors Reserve ($95 annual fee) and BankAmericard Travel Rewards (no annual fee). Has a Penalty APR. This card comes with a penalty APR that’s at least 10 percentage points higher than the upper end of the regular APR range. That’s a problem for cardholders who occasionally miss payments. Requires Excellent Credit. This card requires excellent credit. If you have any notable blemishes on your credit history, you’re not likely to qualify. Applicants with spotty credit can opt for a less restrictive travel rewards card, such as Capital One VentureOne Rewards. The Citi® Hilton Honors™ Visa Signature® Card is one of the more generous fee-free hotel credit cards around. The sign-up bonus alone is worth up to eight free nights at basic Hilton properties. That’s more hotel time than the average American spends in an entire year. This is a particularly attractive perk for savvy travel credit card users, who know that the best way to maximize travel benefits and minimize annual fees is often to sign up for a card with a juicy sign-up bonus, redeem the bonus points or miles, and cancel the card within a year – which can have negative credit repercussions. Since the Citi Hilton Honors Visa Signature Card doesn’t charge an annual fee, there’s no pressure to cancel. If you no longer wish to use the card, you can simply redeem your accumulated points and stop spending with it. That’s one more argument in favor of this deceptively powerful card. The Citi® Hilton HHonors™ Visa Signature® Card is great for domestic travelers who regularly stay at Hilton properties and spend heavily in the card’s favored non-hotel spending categories, such as supermarkets and gas stations. However, with no annual fee, cardholders don’t have to worry about accumulating rewards fast enough to offset a regular debit. On the other hand, this card isn’t great for people who want to maximize their point-earning power on hotel stays, redeem accumulated rewards for cash, or avoid foreign transaction fees. This card’s excellent sign-up bonus, good loyalty bonus, automatic Silver Status, solid hotel selection, and lack of an annual fee are all great. Its poor airline transfer ratios, moderate point-earning rates relative to other Hilton cards, 3% foreign transaction fee, and penalty APR all hurt its prospects. 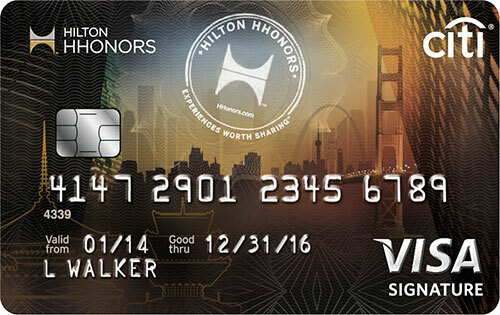 Overall, it’s a very good credit card for frequent Hilton guests who don’t like annual fees.